Starting in Africa, China pledges support for revitalizing the world's "blue economy"
As the world’s declining natural resources trigger economic contractions worldwide, water is finally starting to take center stage in environmental restoration and economic revitalization discussions. For instance, green space has long dominated the dialog about sustainable urban regeneration. Today, adding and renovating blue space (water features) has become the hot “new” topic, thanks in large part to the well-documented revitalizing power of water. 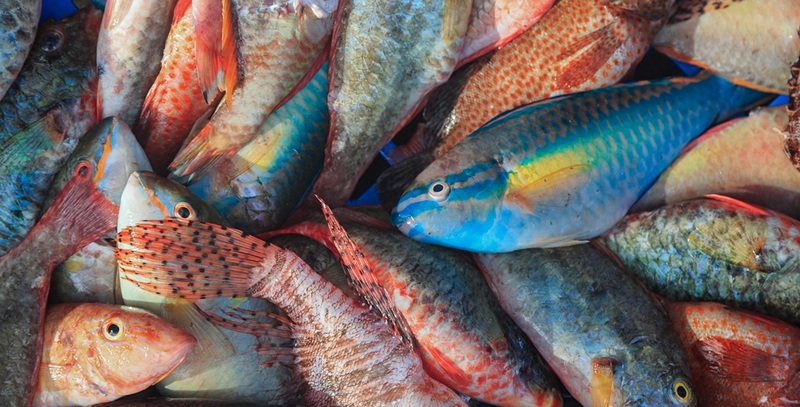 At a larger scale—what’s known as the blue economy—commercial fishing has traditionally comprised about 10% of the global economy, but plummeting catches are damaging the economies pf many island nations and coastal cities. Nairobi, Kenya. Photo via Adobe Stock. On November 26, 2018, at the huge Sustainable Blue Economy Conference in Nairobi, Kenya, an official from China announced that his nation will put major support behind revitalizing blue economies around the world, especially in Africa. Xu Jinghu, the special representative of the Chinese government on African affairs told the 10,000+ attendees from 183 countries that Beijing has supported global efforts to revitalize blue economies through improved governance and sharing of knowledge and expertise to strengthen conservation and restoration of marine ecosystems. “China calls for a blue economy partnership and the resolution of ocean issues through cooperation,” Xu stated. “Blue economy is part and parcel to the development of ocean countries and has already become a new engine of the global economy,” he added, explaining that prudent use of marine resources is key to achieve the UN 2030 goals and the African Union (AU) Agenda 2063. The AU Agenda 2063 is a strategic framework for the socio-economic transformation of the African continent over the next half a century. Its builds on, and seeks to accelerate, the implementation of past and existing continental initiatives for growth and sustainable development. Some of the past and current initiatives AU Agenda 2063 builds on include: the Lagos Plan of Action, The Abuja Treaty, The Minimum Integration Programme, the Programme for Infrastructural Development in Africa (PIDA), the Comprehensive Africa Agricultural Development Programme (CAADP), the New Partnership for Africa’s Development (NEPAD), plus various regional and national plans / programs. Over 10 Heads of State and Government (mostly African) joined representatives of multilateral agencies, industry executives, ministers, scientists and grassroots campaigners at the 3-day conference in Nairobi. The envoy said that China has supported global efforts to boost growth of blue economy through improved governance and sharing of knowledge and expertise to strengthen conservation of marine ecosystem. The Forum on China-Africa Cooperation (FOCAC) summit held in Beijing in September of 2018 launched an initiative calling for blue economy cooperation between Africa and China. Xu said that China is ready to offer technical and financial support that is required to spur growth of blue economy in Africa and other developing countries. “…in jointly building the Belt and Road, China will work for greater complementarity in ocean economy strategies and industries among countries, share our experience in the development of ocean economy, actively explore bilateral and multilateral cooperation ranging from marine resources development and protection, mariculture, fishery and marine tourism,” concluded Xu. This pledge, while welcome, is somewhat ironic, if not downright cynical. 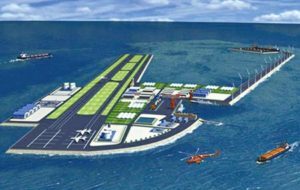 The greatest new destructive force undermining the future of the world’s blue economy can be found in the multitude of massive “reclamation” projects in the Indian Ocean and the South China Sea. Most of them are funded and/or operated by China. The work is creating new military and commercial real estate which, of course, will be flooded in less than a century by sea level rise. In the process, coral reefs, mangrove forests and vital fish breeding areas are being bulldozed and dynamited on a scale never before seen. Featured photo of fish market via Adobe Stock. See Sustainable Blue Economy Conference website. See African Union Agenda 2063 website.